Editor's note: The article below highlights Africa's economic potential in ten charts. It has been put together by Michael Johnston, senior analyst for All Emerging Markets. If some key hurdles can be cleared, Africa could experience explosive GDP growth over the coming decades. At present, the contributions of Africa to the global economy are often overlooked. With a GDP of roughly $1.6 trillion, sub-Saharan Africa equals roughly 10 percent of the U.S. total and 2 percent of the global total. In the coming decades, however, Africa is poised to experience incredible growth that will make it a meaningful contributor to the global economy. About thirty years ago, the Zambian public education system was something to talk about. We had quality expatriate teachers from all over the world (eg India, West Africa, East Africa, the UK and USA) in addition to our own wonderful locally bred educators. We learned with kids from all kinds of nationalities. Whites, Indians, Chinese and even Koreans were in the public schools. Even up to the late 80s we had Indians still with us and a literacy rate of almost 70% of 15-24 year olds. Our education system produced the highest rate of IQ in Southern Africa as measured by the Special Paper 1 and 2 in the GCSE Primary School system. When the Zambian economy began to tank in the late 80s, we exported plenty of professionals, especially teachers to Botswana and Namibia. I remember many teachers leaving us and coming back with new vehicles within a year. Zambia is in the middle of a crippling electricity crisis as the country grapples with a 560 MW power deficit, a situation likely to only get worse as demand for electricity grows 200MW annually. ZESCO has embarked on a countrywide power rationing mechanism in order to preserve the limited water available for power generation until the 2015/16 rainy season. The shortage of electricity has been building for some time but has become more pronounced with reduced water levels at Kariba North Bank Power Station, Kafue Gorge Power Station and Victoria Falls Power Station. Zambezi River Authority CEO Munyaradzi Munodawafa recently warned that Zambians should brace themselves for total blackout by November 2015 if nothing is done about the low water levels at Kariba Dam. He has been calling on GRZ to take "serious interest in investing in a standby water reservoir". The situation has sent politicians in a frenzy with a group of parliamentarians recently touring Kariba Dam and Kafue Gorge to check on "the real cause" of the load shedding. The Kariba Dam of course has deeper problems with its crumbling walls which recently forced the European Union to donate up €64m in emergency funding. The government is currently on an international roadshow looking to borrow $2bn through a new Eurobond. The money is needed to plug a funding hole in the revised 2015 Budget that has arisen due to the reduction in mining revenues following the mineral taxation regime reversal, lower copper prices and volumes. GRZ also has accumulated a number of expenses in arrears including payments to to the public pension system, agriculture subsidies and road projects. So this Eurobond is different from previous Eurobonds because it is a necessity born out of fiscal incompetence. This point is important for two reasons. First, the price GRZ will pay for borrowing through this new $2bn Eurobond is likely to be dear, somewhere between 9-10% annually which will substantially push up debt serving costs (currently 25% of tax revenues). The servicing costs will get worse as the Kwacha depreciates further. Secondly, public debt levels are currently around 39.6% of GDP. With new external debt this is likely to rise above 50% of GDP, with sharper rises next year as election looms. Little wonder the ratings agencies appear worried. The Government has allegedly set up a "sinking fund" to deal with any future risks of repaying the Eurobond debts when they mature in 2020 and 2022. This was announced recently by Finance Minister Alexander Chikwanda. Presumably the "sinking fund" will also be needed for the $3bn of new debts it is planning to acquire shortly. Some analysts have been quick to praise this initiative. The JCTR said, "we are glad that government has created a sinking fund, though belated, as it will ensure smooth repayment of the two Eurobonds which were contracted in 2012 and 2014". A Daily Mail analyst said, "a sinking fund....will ensure prudent management and servicing of the debt in a transparent and accountable manner... the economic outlook of our country is not all that gloomy". Finance Minister Alexander Chikwanda’s speech to Parliament last month announced that government has a new unforeseen shortfall of K20bn ($2.7bn). It needs to find this to meet its spending commitments. He said that he hoped to cut that down by K5bn ($0.7bn) from “rationalising expenditure” (i.e. making cuts to existing commitments). We were told that the remaining $2.0bn would need to come from external borrowing. But then in the same speech he said this: “I will...be requesting the House to increase the ceiling on external borrowing from the current K35 billion to K60 billion. This will enable us to have greater recourse to external financing which at current international rates is cheaper than domestic borrowing. we intend to use any such resources to complete the various developmental projects that we commended”. Editor's note : The ratings agency Standard and Poor has downgraded Zambia's long term credit rating because of deteriorating fiscal situation. It has kept the short term rating the same. 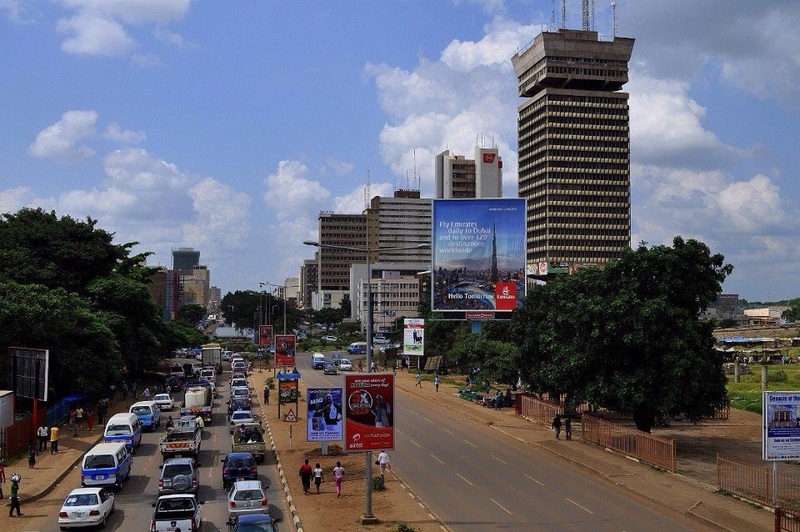 S&P has become the first of three agencies to downgrade Zambia. It notes that public sector debt is on course to be more 50% of GDP if Alexander Chikwanda's new Eurobond debt plans succeed. Fitch recently signaled the possibility of a downgrade in August unless the economic situation improves. Worsening credit rating may impact on the cost of borrowing and compound the current depreciation of the Kwacha. In our opinion, Zambia's fiscal position is markedly and negatively deviating from our previous expectations. We believe the government's policy response will be constrained in the run-up to September 2016 elections. We are therefore lowering our long-term sovereign credit ratings on Zambia to 'B' from 'B+' and affirming our 'B' short-term ratings. The outlook is stable, reflecting our expectation that the fiscal deficit will not weaken over 2015-2018 more than we currently anticipate.